to her collection of unusual and very distinctly romantic perfume bottles. she observes the world around her. and the top in a form of a peacock with fully displayed beautiful tail. The iridescent colors of the bottle are graciously changing from purple to soft peach color. Base notes : musk, white wood accord and benzoin resin. 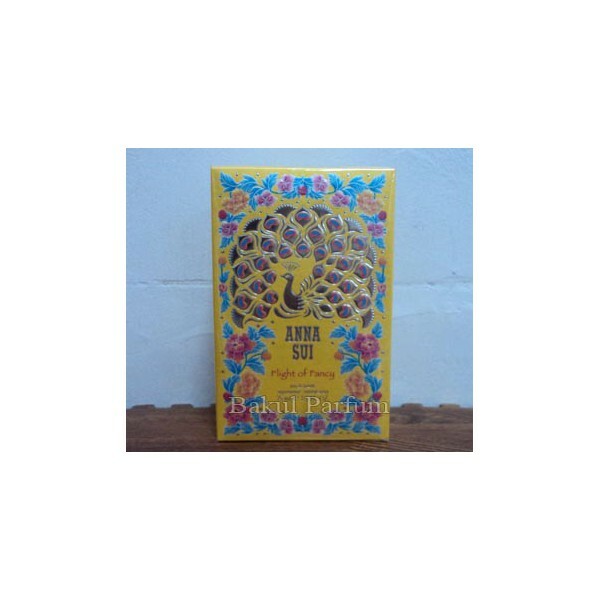 Beli parfum Anna Sui Flight Of Fancy sekarang, harga termurah di Indonesia!! Nikmati promo dan penawaran eklusif parfum Anna Sui hanya di bakul parfum.